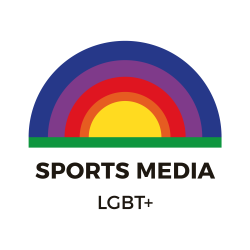 Sports Media LGBT+ (lesbian, gay, bisexual and transgender) is a network group for industry professionals and newcomers who are members of the LGBT+ community. The group is the brainchild of SJA member Jon Holmes, home page editor of SkySports Digital, who organised an informal meeting of LGBT sports media professionals in August 2017 and has never looked back. The SJA is delighted to be connected to Sports Media LGBT+. The sports journalism industry has finally and belatedly started to make strides in terms of inclusion, and a networking group like this can only further educate and encourage. As a network, the group aims to provide a space for LGBT+ people and allies working in sports journalism, TV production, public relations and all other sports media related roles, to connect in person and online, in order to share experiences, advice, content ideas, and other professional support and assistance. The network also seeks to advocate for athletes, coaches, officials, administrators and all others involved in sport who are LGBT+, by amplifying their voices through media and journalism in order to highlight the benefits of authenticity and inspire others. They will tackle instances of homophobia, biphobia and transphobia and are committed to a fair and accurate representation of LGBT+ people in the media. And the website address is HERE.